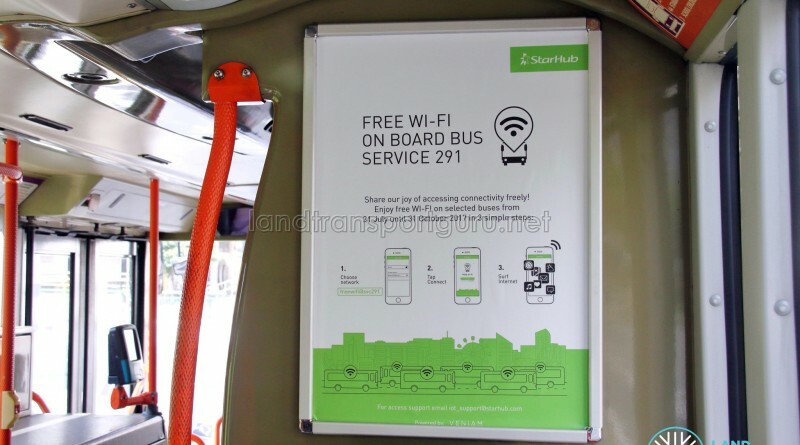 SBS Transit is now offering Free Bus Wi-Fi on board Bus Service 291. As part of a one year trial from 31 July 2017 till 31 July 2018, most buses plying the Tampines feeder bus route are equipped with Wi-Fi. 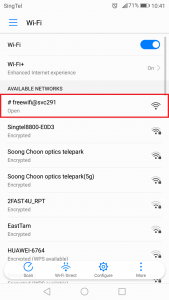 The Wi-Fi network does not require a password, and commuters only need to select the select the network “freewifi@svc291” to connect to the network. 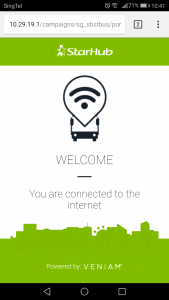 After reaching the launch screen, commuters can immediately start enjoying free Wi-Fi at a tap of the “Connect” button. 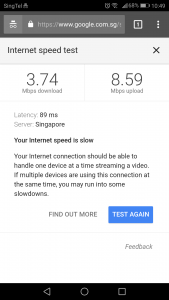 During a bus ride in the off-peak hours, we managed to get a download speed of under 4 megabits per second and an upload speed of just under 9 megabits per second, depending on the location of the bus. In general, Wi-Fi speeds are the fastest at the front of the bus, near the electronics bay which is where we presume the router is hidden in (underneath the staircase on double-deck buses, at the front of the bus for single-deck buses). Wi-Fi coverage throughout the bus is good, and speeds are adequate for general surfing of the internet. From our observations, Volvo B9TL (CDGE and Wright) and Scania K230UB buses have received the Wi-Fi routers. The service is provided by local telecommunication company Starhub in partnership with Veniam, a California-headquartered startup which manages intelligent transportation systems through hardware, software and cloud components. 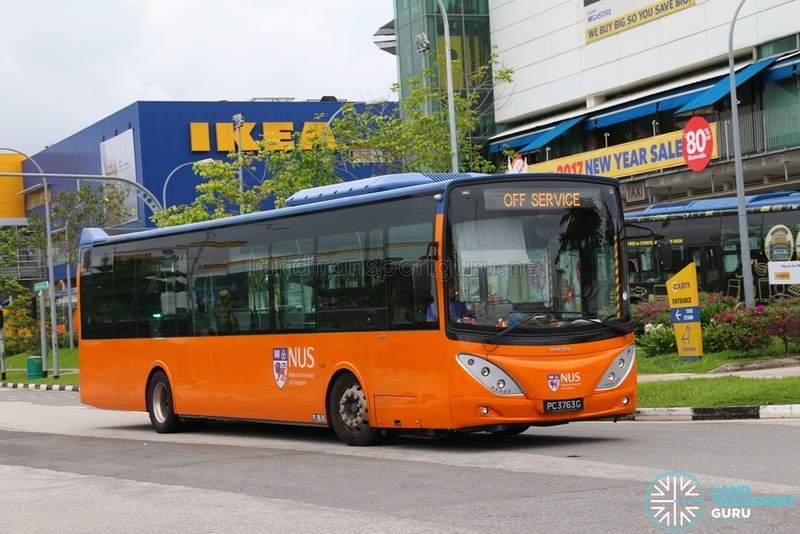 The two companies previously collaborated with ComfortDelgro Bus and the National University of Singapore (NUS) to install Singapore’s first mesh network of connected vehicles on buses that serve on NUS Internal Shuttle Bus (ISB) routes. 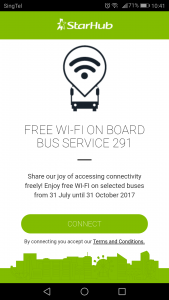 Since June 2016, all NUS ISB buses had been installed with the Wi-Fi, but requires institutional credentials to log in. As part of the collaboration, Starhub and Veniam plan to turn thousands of vehicles in Singapore into mobile Wi-Fi hotspots using StarHub’s 4G and fibre infrastructure. The companies will also collect user data and share it with the Government as part of Singapore’s Smart Nation initiative launched in 2014, where the data will be used to derive insights and drive decisions. Similar to NUS ISB routes, Bus Service 291 is a small-scale launch platform which covers a small area of Singapore. The initial trial duration was announced as three months (ending on 31 October 2017), but later extended to six months. We hope that such trials could be expanded in the future for longer bus routes. As part of an advertising campaign in 2017, CIMB Bank offered Free Wi-Fi onboard SBS Transit buses bearing its advertising material. However, personal information is requested at login, including consent to be contacted for marketing and promotional purposes. From April to August 2016, M1 trialled a high speed internet service as part of a Heterogenous Network (HetNet) trial with the Infocomm Development Authority of Singapore. Two buses, SMB1410D and SMB1419E, were equipped and deployed on SMRT Bus Service 176. 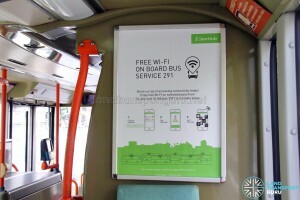 Previously, SMRT also offered Wi-Fi access onboard one of its buses, SMB138Y. The MAN NL323F demonstrator unit plied the roads from December 2010 until 2012, where the bus was taken out of service and Wi-Fi access was never offered ever since. 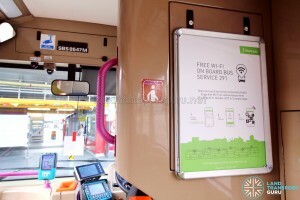 The free wi-fi access on selected Service 291 buses has been extended twice. In the first extension, the 3 month period was extended to 6 months which was planned to end on 31 January 2018. In the second extension, free wi-fi access continues to be provided on these selected buses till 31 July 2018.